Here in Arkansas, the definition ofÂ valedictorian is set by state law. Â Unfortunately, Colorado does not have that law. Â (Of course charter schools may be able to ignore the rules.) Â Nonetheless the principal could be on the hook for denying any material benefits toÂ valedictorians (special scholarships, etc.) in civil liability. 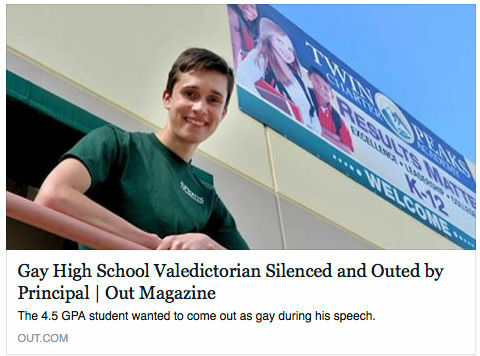 Danged Queers are trying to re-define valedictorian! I hope this follows that principle every bit as much as it follows that young Â man.